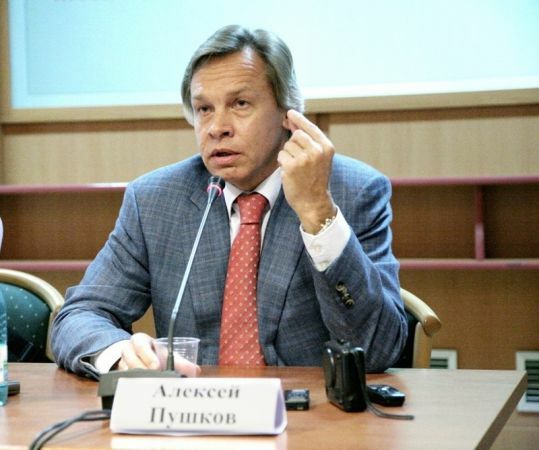 The Ukrainian leadership is resuming military actions in Donbass although not in the previous scale, head of the Russian State Duma Foreign Affairs Committee Alexey Pushkov has said today, on Apr 8. “In my opinion, we are witness to a creeping return of Kiev to military actions,” he said at a news conference. “It is neither widespread, nor ostentatious, but certain efforts are taken that can make us think that Kiev is preparing a new military operation. All this is accompanied by diplomatic gestures by Ukraine’s President Petro Poroshenko, who put his stake on the peacekeeping operation in eastern Ukraine,” suggests Pushkov.